Home» Blog » When Should You Start Selling Digital Products in Your Online Business? When Should You Start Selling Digital Products in Your Online Business? Launching an online business requires an incredible amount of work over a long period of time and there’s never quite enough time to get everything done that you want to, so you have to be strategic about the projects that you want to tackle and when you want to tackle them. You should focus on the projects and tasks that will generate the most value for the least amount of work. When you’re first getting started with your online business, creating and trying to sell digital products is not a good use of your time. 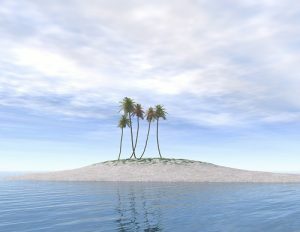 Trying to launch a digital product before you have an audience would be tantamount to trying to open a Wal-Mart on a deserted island. You might build the best product in the world, but it won’t matter unless you have an audience that is ready and willing to buy something from you. Let’s say that you want to create a $39.00 training guide that you can sell to your audience. For that price point, you might reasonably expect 0.5%-2% of your email subscribers to purchase the product. If you have an email list of 1,000 subscribers, you can expect to generate between 5 and 20 sales. 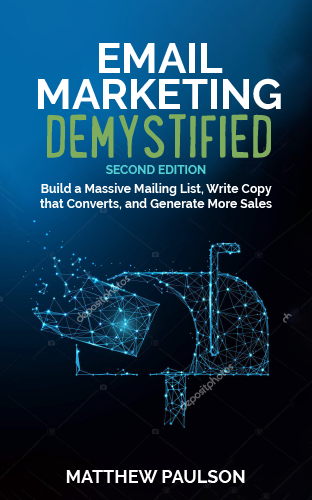 On the other hand, if you have 25,000 subscribers and promote the same guide to your email list and receive similar conversion rates, you would sell between 125 copies and 500 copies of that same guide. At 1,000 subscribers, putting the effort into creating this guide probably isn’t worth it because of the time required to write, edit, format and market the guide because you are only going to make a few hundred dollars if your training guide sells well. At 25,000 subscribers, it’s almost certainly worth it to create the guide because you could make nearly $20,000.00 in sales if it converts well. In most cases, I wouldn’t recommend launching digital products until you have about 10,000 subscribers. If you’re not there yet, just focus on creating great content and marketing that content so that you can continue to grow your audience until you reach that point. When you hit 10,000 subscribers, the revenue you can generate from creating and selling products will justify the amount of time it takes to create, launch and market digital products. This isn’t a hard and fast rule, but I wouldn’t try to create a unique digital product and try to launch it to a list of much less than 10,000 people simply because it wouldn’t be worth the effort to do so. In 2014, I purchased an equity stake USGolfTV, a company that produces training content and digital products for the golf industry. The other owners were interested in launching a membership site, but at the time they had less than 5,000 subscribers. I knew they would likely only sell a handful of memberships at that current list size, so I told them to focus on growing their list for a year and helped them implement strategies that would attract more opt-ins. About a year later, they had grown their email list to more than 50,000 subscribers and successfully launched a one-off video course called Tour Draw (www.yourtourdraw.com) in the interim. By that point, it had become worth it to explore creating a membership site. We put about 6 months of work in creating content and launching a membership site called My Virtual Golf Coach (www.myvirtualgolfcoach.com) and immediately garnered a large number of sign-ups because we had a sizable email list and created a product that met our audience’s needs.